I need to get this message out to the world because it’s apparent there’s a bit of a break between sense and common sense going on right this minute. Over the past few weeks, I’ve witnessed a trend. People keep buying new smartphones when what they really want, what they don’t realize they’d be better off with, is a brand new tablet – or even a used tablet, for crying out loud. Let’s talk about why. The best-selling smartphones today are the biggest versions of the headliners: iPhone and Galaxy S/Note. It’s been that way for a few years now, and I think there’s something slightly off-kilter going on. When people – everyday people like you and I – go out and buy a new smartphone, they’re paying a premium for a multi-use device whose functionality should be split into multiple pieces of hardware. When I get home from work and I sit on the couch and I turn on the television, I also get the urge to look at the phone in my pocket. But I don’t. I don’t because it’s my job to review all different sorts of devices, so I’ve got a larger display-toting computer on-hand. Not all people have that luxury, obviously, but it’s not always because they can’t afford it. Let’s say someone with a couple-year-old iPhone had a hankering for a larger smartphone. Instead of paying nearly (or over) $1000 for a new iPhone 8 Plus (or whatever’s newest at the time you’re reading this article), they could drop $330 on a brand new iPad. Supposing they most common place they use their phone is at home on the couch, I’d recommend buying a new iPad over upgrading to a whole new phone any day of the week. On that same note, imagine you’re rolling with a Galaxy Note, a Galaxy S7 Edge, or a Galaxy S8 Plus, and you’re wishing you had a new version of the same old phone. If you’re using the advanced functionality of that phone at home most of the time, there’s a better option than buying a whole new device. Behold the Samsung Galaxy Tab S3 with its own S Pen. That’s one massively bright and sharp display that’s basically a mega-sized Galaxy Note 8, for $400 or less. By the time you read this, the Samsung Galaxy Tab S4 might be out, and the S3 will be even cheaper. Take advantage of the years past when new devices are released – especially with tablets. Tablets don’t suffer the same wear and tear your smartphone is subject to – they ride with you for years! Unless your use-case specifically calls for it, do not buy a tablet with a data plan. You DO NOT need to pay a monthly fee to own a tablet, and you do NOT need to have mobile data all the time on a tablet if you do not want such a thing. Buying a tablet should be just like buying a new laptop in this respect – connect to wi-fi or stay offline altogether. Don’t go buying the biggest and best tablet if you’ve never used a tablet before. Find one that’s relatively new and one that has a display that’s marginally better than the screen on your smartphone. You’ll be switching back and forth between these devices, don’t make it jarring. Consider buying a tablet with the same brand-name as your smartphone, but don’t get too locked-in without shopping around. You don’t NEED to buy an Android tablet if you have an Android phone, and there are certainly more options out there than an iPad. Everyone thinks they want an iPad, but not everyone needs an iPad. Most people don’t use the full functionality of any device they own. When it comes to tablets, the difference in device prices can be massive, especially between a brand new tablet and one that’ll do JUST as much for the average end user. Don’t get caught up in features you didn’t know you wanted before you started searching. This advice isn’t always perfect. 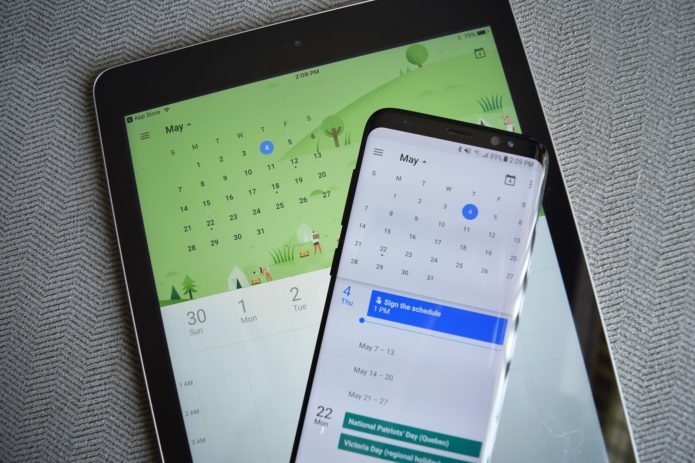 There are plenty of times when buying a new smartphone is the best idea – tablets aren’t always helpful for the on-the-go user. But keep in mind the variety of devices on the market at all times. You needn’t be hindered by the functionality of the one lineup, and you needn’t be stuck with what you’ve got forever! I have one big disclaimer here too. If your phone is 3 years old or older, I recommend you highly consider buying something new. Not because your phone isn’t still good to use, but because your time for software updates is almost done. Most companies don’t provide security updates past a few years, and even the best only update for less than a half-decade. Treat your tablet as an extension of your smartphone, and keep your digital life as compartmentalized as possible. Pick the best tools for the best job, and you’ll rarely find yourself paying for technology you don’t need. Have a peek at Android tablets need to survive for further reading!